Have you ever wanted to travel to Vietnam but you were not sure whether you wanted a city break, a beach break or even a mountain break? What about a cruise around Halong Bay or even crawl through the Cu Chi tunnels? Emily Pham is our guest contributor highlighting the top 15 most beautiful places to visit in Vietnam. Emily was born in Vietnam and has extensive local knowledge. Her informative article will give you the best of Vietnam for your itinerary planning. 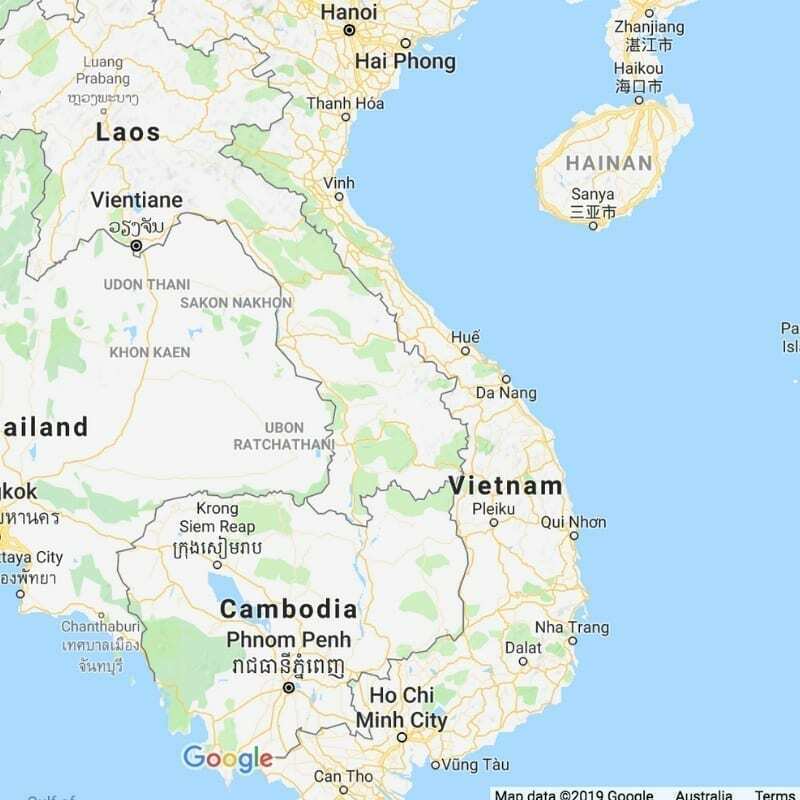 The two major airports for flying into Vietnam are either Hanoi or Ho Chi Min City. Along with Thailand, Singapore, Japan, Philippines, Vietnam is another ideal nation in Asia for tourists to visit. 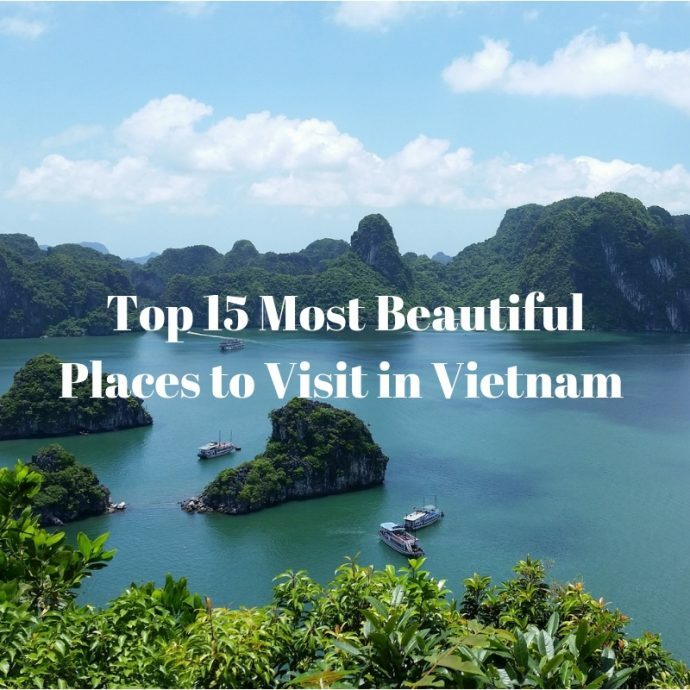 If you are planning to travel to this beautiful country, don’t forget to read the following top 15 most beautiful places to visit in Vietnam, which promise to give you the unforgettable moments ever. Situated on the Western side of Gulf of Tonkin, Halong Bay is one of the most beautiful natural places in Vietnam. It includes the island and marine areas of Halong city, Cam Pha city and a part of Van Don District, Quang Ninh province. The bay has a coastline of 120 km, an area of about 1,553 km2, 1,969 islands, of which the central region of the bay covers an area of 335 km2 with 775 different islands. When coming to Halong Bay, most tourists are impressed with the romantic beauty of the “cloud and water wave” sceneries. Besides, Halong also gives visitors the feeling of peace when immersing in the unique landscapes here. 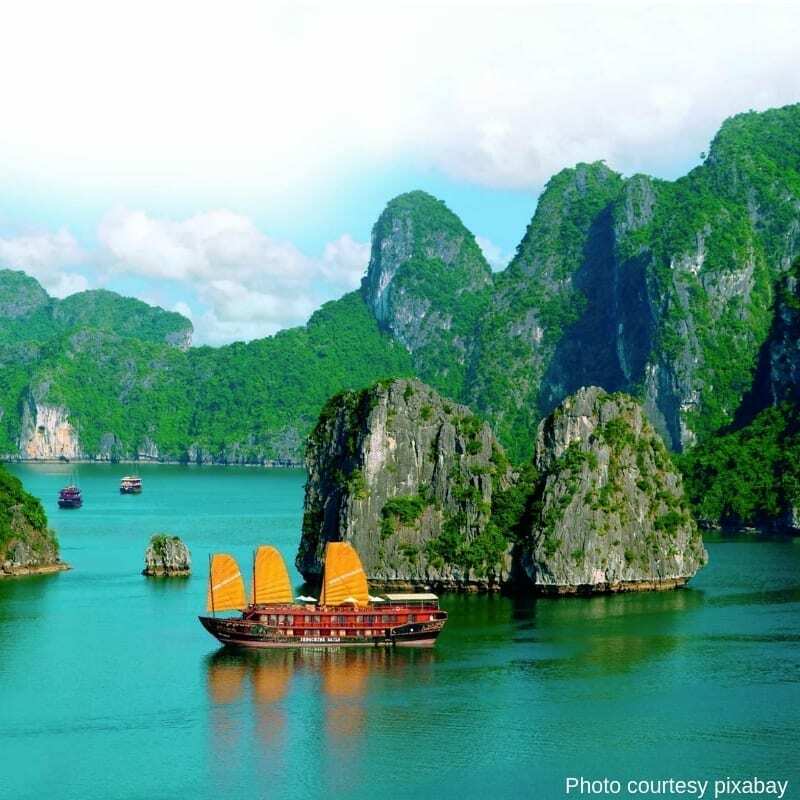 Thus, in 1994, Halong Bay was recognized as World Natural Heritage for the first time by UNESCO. In 2012, New Open World organization had officially regarded it as one of the seven new natural wonders of the world. Facilities include a Wellness & Spa Centre, swimming pool, Akoya Restaurant for Japanese and Vietnamese Cuisine and the Pavillion Restaurant for seafood specialties. Facilities include an indoor swimming pool, sauna and jacuzzi and a Night Club. Facilities include a restaurant and bar and free WiFi. Book a 2 day 1 night cruise around Halong Bay that includes a cooking demonstration and a sunrise tai chi class. Prebook your transfer from Hanoi to Halong Bay to board your cruise. See more tours and things to do in Halong Bay. This is a natural freshwater lake of Hanoi the capital with an area of about 12 hectares. In the past, the lake also had other names, such as Luc Thuy lake, Thuy Quan lake, Ta Vong lake, and Huu Vong lake. The name “Hoan Kiem” lake appeared at the beginning of 15th century in association with the legend of King Le Thai To who returned the magical sword to the golden turtle. Also, Hoan Kiem Lake is a symbol of peace and virtue of Vietnamese people. Therefore, many artists take the image of Sword Lake as the foundation for their works. Facilities include a restaurant and lounge bar as well as free WiFi. The Pearl Hotel is located 0.2km from Hoan Kiem Lake. Facilities include free WiFi. Within walking distance of Hoan Kiem Lake. For easy transport to visit Hoan Kiem Lake and other sites in Hanoi we can recommend the Hop on Hop off Bus. 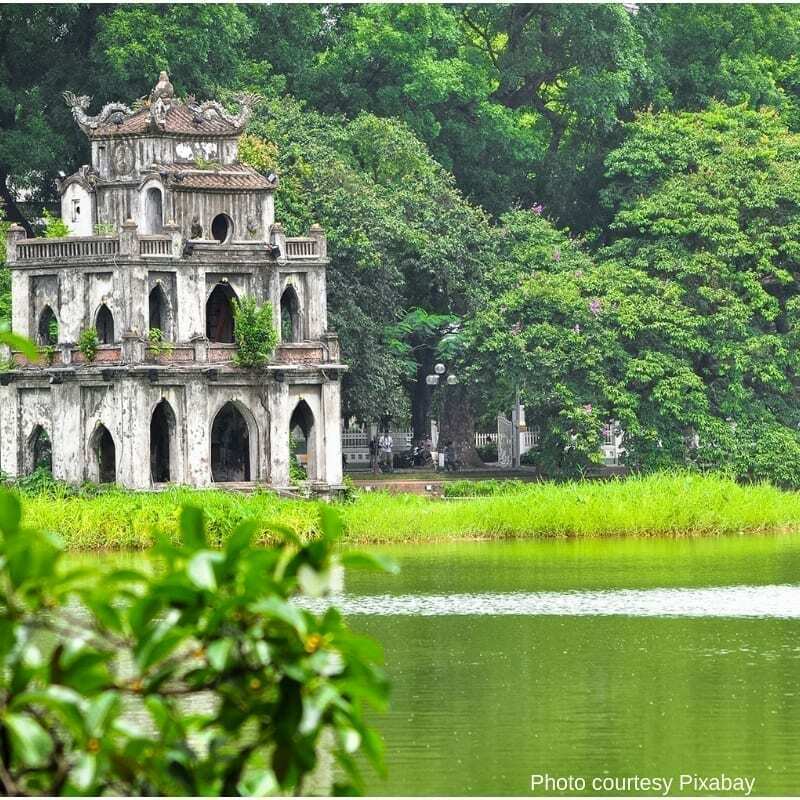 If you prefer a small group tour, a 4-hour tour is available that includes a stroll along the shores of Hoan Kiem Lake plus other important sites in Hanoi. Thien Mu Pagoda is one of the most famous ancient pagodas in Vietnam. It is also known as Linh Mu Pagoda, which is located on Ha Khe hill, about 5 km from Hue city, Vietnam. This pagoda was officially built in 1601 under Tien Nguyen Hoang Lord reign. Thanks to the natural beauty and large scale, Thien Mu Pagoda becomes the most beautiful pagoda at that time. After many historical events, the pagoda was restored many times under Nguyen dynasty. Nowadays, the place is still reconstructed for magnificence and attractiveness. The closest main town to the Thien Mu Pagoda is Hue. Accommodation details are based on staying in Hue. Facilities include free WiFi, swimming pools, Turkish steam bath. Art deco design hotel. Check Out Availability and Prices here. Read the latest Tripadvisor Reviews. Facilities include free WiFi, restaurant, bar and executive floor. A fun way to visit the Thien Mu Pagoda is via a Dragon Boat Cruise. Placed on the banks of Thu Bon River, Quang Nam province, about 25 km from Danang city, Hoi An is an ancient town which is very attractive to tourists. In the past, Hoi An was a commercial port with many traders from all over the world, which creates a diverse culture between East and West. Today, the town preserves the architectural relics and intangible cultural foundation in the customs, religious practices, folk arts, cultural festivals, traditional craft villages, etc. Moreover, the culinary culture in Hoi An is one of the unique things that tourists mention. If you come here, you should enjoy the traditional dishes, such as Quang noodles, white rose cake, Cao Lau, etc. It’s wonderful! Facilities include free WiFi, secluded beach, fitness centre, swimming pool. Facilities include free WiFi, private beach, swimming pool, restaurant and bar. Facilities include free WiFi, private beach, swimming pool and sauna. A great experience would be to take a Vietnamese Cooking Class. 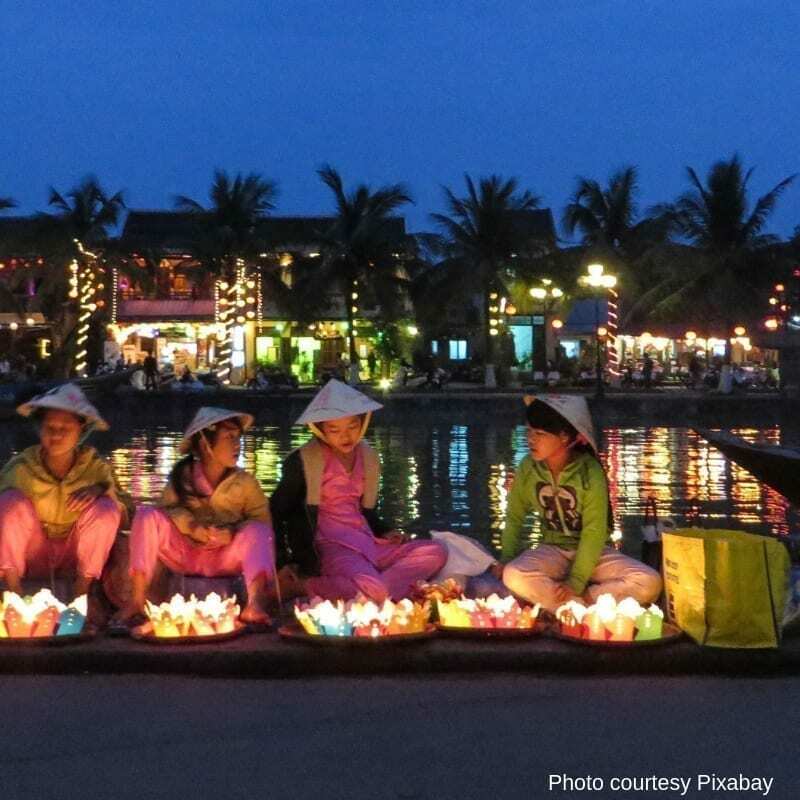 Don’t miss a market tour, a basket boat ride and a cooking class in Hoi An. See more tours and things to do in and around Hoi Ann. Hanoi is the capital of a thousand years of civilization in Vietnam with a typical old town, which preserves the long-standing architecture and many traditional values. Hoan Kiem lake, Ngoc Son temple, and The Huc bridge are symbols of Hanoi. 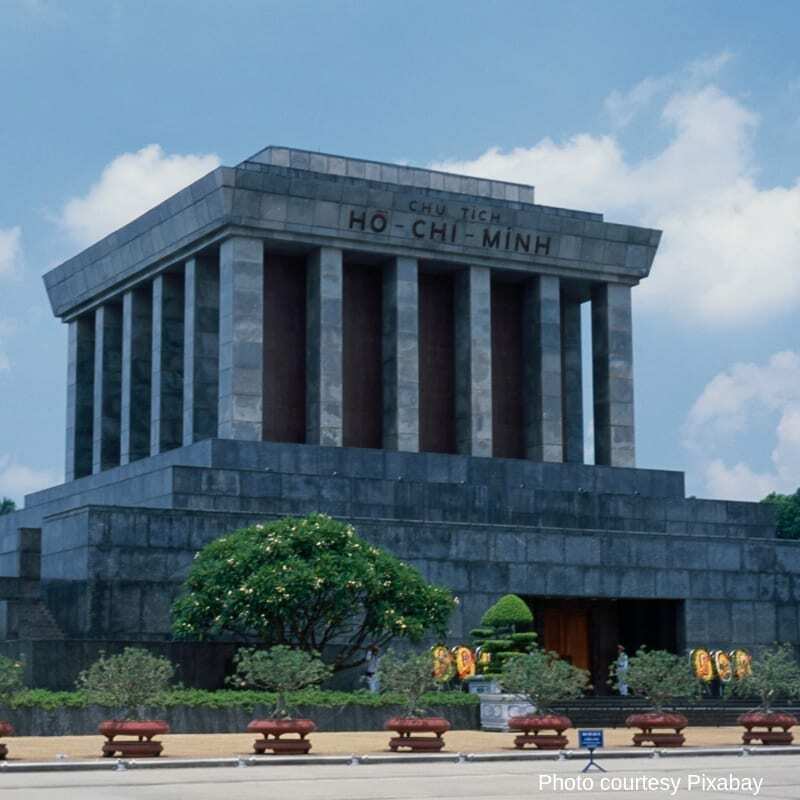 Besides, tourists can learn about Vietnamese’s culture and history when visiting Ho Chi Minh’s Mausoleum, Hoa Lo Prison, and national museums. The special thing in Hanoi is the combination of the different cultures. You find nowhere in Vietnam where there are many cultural villages like Hanoi. Tourists will be excited when enjoying the unique beauty and cultural values of villages, Buddhists and French architectures here. Facilities include free WiFi, pool, spa, fitness centre, restaurants and lounge. Facilities include free WiFi, sauna, restaurant and bar. Facilities include free WiFi, restaurant and bar, outdoor terrace and a central location. Pre-purchase your online tickets for the Hop On Hop Off Bus around Hanoi for 24 hours. Skip the entry line to the Water Puppet Theatre. Pre-purchase your tickets here. Get an unlimited Data Sim Card delivered to your hotel for free. Hands-on cooking class in a private villa with a market tour. See more tours and things to do in and around Hanoi. Known as Dao Ngoc, Phu Quoc is the largest island in Vietnam and also the 22nd largest island in the Gulf of Thailand that you shouldn’t ignore when traveling to Vietnam. Phu Quoc and other islands constitute Phu Quoc island district under Kien Giang province. The whole region has a total area of 589.23 km2. Nowadays, Phu Quoc has become famous for tourists all over the country and the world. This is not only because Phu Quoc is a beautiful island called the sunshine paradise, but it also contains many mysteries which haven’t been discovered. It can’t be denied that nature gives Phu Quoc the harmonious sceneries and cool and pleasant climate all year round. Also, it owns the long and beautiful beaches with blue sea water and white sandy. Therefore, Phu Quoc will be an ideal destination for couples to go on a honeymoon or families for a vacation. Facilities include free WiFi, restaurant and bar, outdoor terrace, private beach, pool and Jacuzzi. Facilities include free WiFi, restaurant and bar, outdoor terrace, private beach, infinity pool and fitness centre. Facilities include free WiFi, restaurant and bar, private beach, pool. Located on a highland town in Lao Cai province, Sapa is a great place that you shouldn’t miss when coming to Vietnam. Thanks to the majestic natural scenery, beautiful terraced fields, mysterious love market, and rich cuisines, Sapa nowadays becomes more and more attractive to tourists. 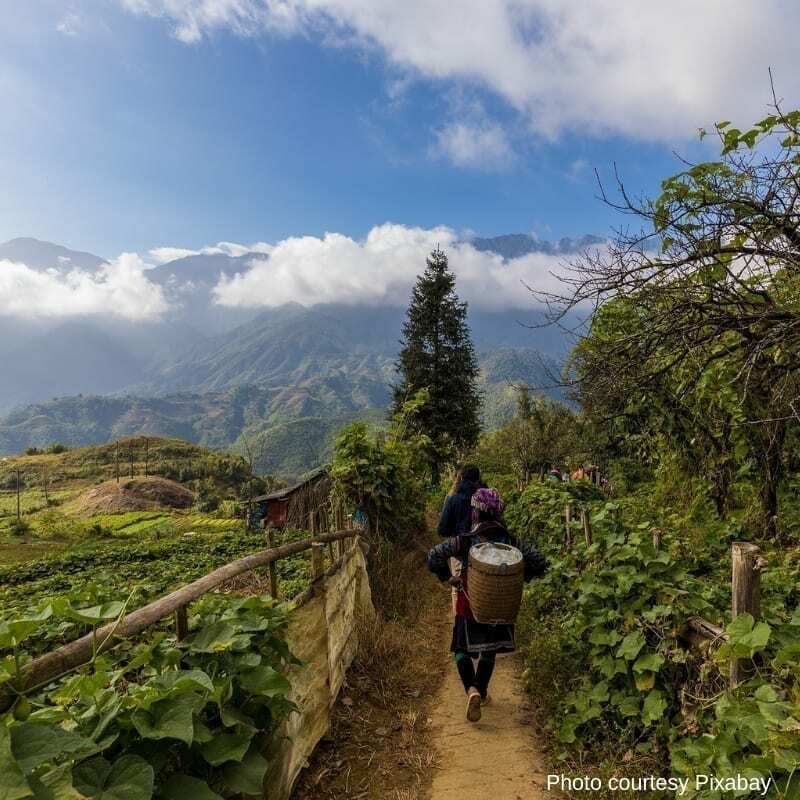 In other words, the natural landscapes in Sapa are combined with the creativity of people, the terrain of mountains and hills, the green color of forests. All things create a harmonious and romantic picture. Furthermore, Sapa owns many beautiful tourist attractions, such as Ham Rong flower garden, Muong Hoa valley, silver waterfall, the stone church with Gothic style in the center, Bac Ha market, etc. Especially, Sapa possesses Fansipan – the highest mountain in Vietnam and was dubbed the “Indochina roof” which is very attractive to those who love climbing and conquering. Facilities include free WiFi, restaurant and bar, pool. Facilities include free WiFi, restaurant and bar, close to many other restaurants. Facilities include free WiFi, bike rental, restaurant and bar, close to many other restaurants. From Sapa waterfalls, trekking and tribal villages tour. See more tours and things to do in and around Sapa. 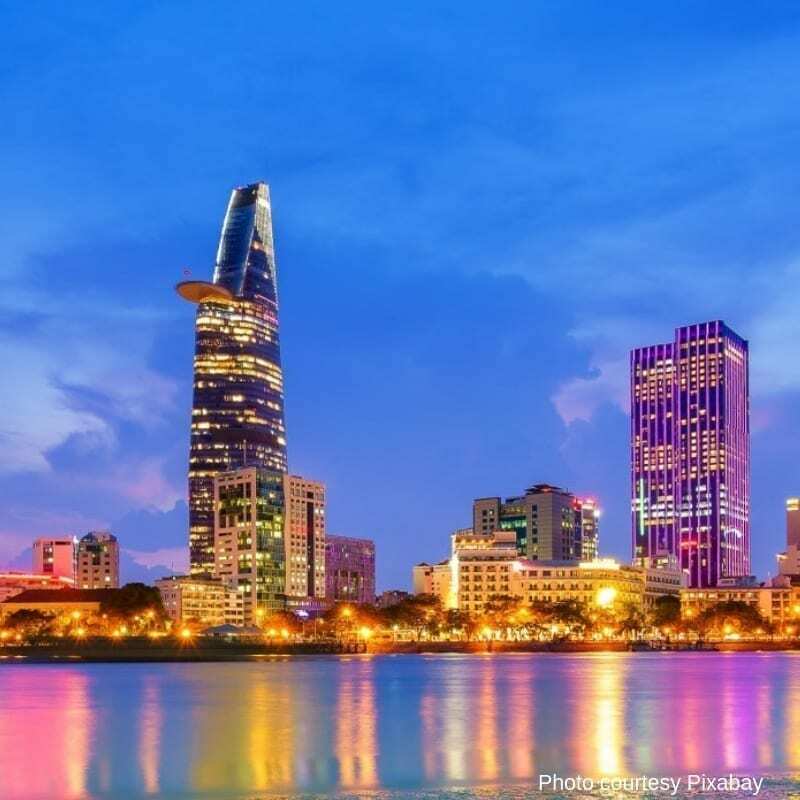 Da Nang city is one of the biggest cities in Vietnam which has been a familiar destination for domestic and foreign tourists due to its friendly people, clean environment, delicious and strange dishes with the strong local flavors. Da Nang is also known as a coastal city with beautiful beaches and white sands. After hard working days, you can come here for relaxation by diving in the blue water, playing with the waves, and sunbathing on the white sand. Not only that, there are many sea services, such as canoeing, dragging, windsurfing, banana sailing, water motor, watching corals, etc., that you should experience. Besides, it possesses many beautiful landscapes, such as My Khe beach – one of the most charming beaches on the planet, Ba Na hill with many entertainment activities, Son Tra peninsula, Ngu Hanh Son, Han River, Rong Bridge, etc. Facilities include free WiFi, restaurant and bar, golf course, pool, sauna, jacuzzi, sundeck. Facilities include free WiFi, restaurant and bar, private beach, pool, gym, rooftop terrace and jacuzzi. Facilities include free WiFi, rooftop terrace, sauna and a central location. Nha Trang is a coastal city and a political, economic, cultural and tourist center in Khanh Hoa province, Vietnam. This land has the temperate climate, convenient transportation both in waterways, roads, airways, and railways. Thanks to the beautiful natural sceneries and rich historical contexts, Nha Trang has become a tourist attraction with many types of tourism, such as ecotourism, landscape tourism, community tourism, etc. Also, it is famous for salanganes nest – one of the most nutritious foods used by Kings 400 years ago. Besides, Nha Trang is considered as the pearl of the Far East due to its natural landscapes, white sand beaches, and offshore islands with coral ecosystems. 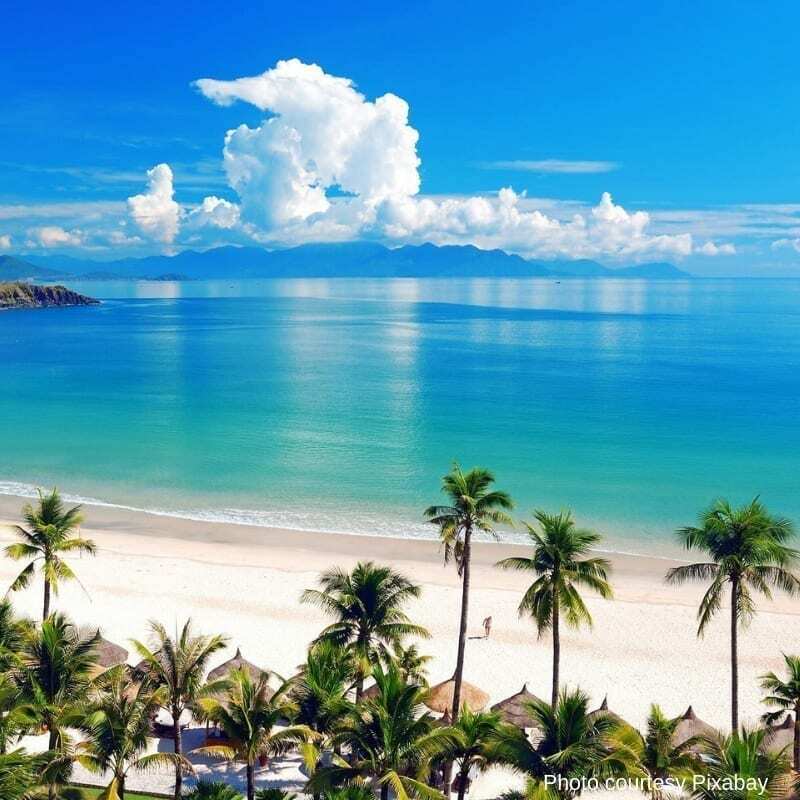 Especially, Nha Trang Bay is one of the 29 most beautiful bays in the world ranked by the world’s bay club, and it was officially recognized in July 2003. Along with Ha Long Bay, Nha Trang Bay is the second bay of Vietnam to be classified as this honor. Moreover, when visiting this place, travelers have a great chance to enjoy the fantastic beauty of ancient Cham temples and quiet museums in the heart of the city. Facilities include free WiFi, private beach, pool, spa, gym, restaurants and bars. Facilities include free WiFi, private beach, pool, jacuzzi, sauna, restaurants and bars. Facilities include free WiFi, pool, jacuzzi, sauna, Spa and Wellness centre, restaurant and bar. Centrally located. Hue is one of the historical cities in Vietnam, which is associated with relics from Nguyen dynasty in the 19th century. Located on the peaceful Huong River, Hue Citadel has a large area and circumference around 10 km. There are some famous sites, such as Ngo Mon Gate, Thai Hoa Palace, Dien Tho Palace, etc., where you should visit when coming to this place. Besides, tourists can take a boat on the Huong River to visit tombs and pagodas, including Tu Duc tomb, Khai Dinh tomb, Thien Mu pagoda, etc. Facilities include free WiFi, pool, sauna and restaurant. Facilities include free WiFi, Spa & Wellness centre, indoor pool, executive floor, Turkish bath, restaurant and bar. Facilities include free WiFi, restaurant and a central location. Ho Chi Minh City is one of the two biggest economic and cultural centers in Vietnam. Most tourists traveling to Vietnam want to come to Ho Chi Minh City for enjoying a diverse economic region and traditional cultural history. The first impression of the visitors when coming to this 300-year-old city is the excitement, youthfulness, and dynamism. Besides, you can see the high-rise buildings in the city center, crowded markets, beautiful streets with shops, food stalls, restaurants, entertainment areas which are open to serve late at night. It can be said that this is a modern city, but it still retains the charming architectural features from the French colonial period. Tourists can visit the War Remnants Museum, Cu Chi tunnels to find out the Vietnam War, or come to Notre Dame Cathedral, Ngoc Hoang Pagoda. If you want to go shopping, you should come to Ben Thanh Market – a familiar destination with many different kinds of items. Facilities include free WiFi, restaurant, bar, sauna, pool, gym. Facilities include free WiFi, restaurant, bar, roof top terrace, fitness centre, sauna and pool. Facilities include free WiFi, restaurant, night club, rooftop terrace, outdoor pool. Pre-purchase your Fast Track Ticket to the Bitexco Financial Tower Saigon Sky Deck. Get breathtaking views of Ho Chi Minh City from the Saigon Skydeck on the 49th floor of the 262-meter high Bitexco Financial Tower. Ascend the skyscraper on one of the city’s fastest elevators at 7 meters per second. Enjoy a delicious Saigon Street Food Evening Tour for 3.5 hours. Eat your way through Saigon’s Southern Vietnamese cuisine and find out where the locals eat. Entrance to the Ho Chi Minh’s Water Puppet Theatre which includes ticket delivery to your hotel. Travel Ho Chi Minh City for 48 hours with the Hop on Hop off Bus. Buses run every 30 minutes between 08.30 and 17.00. 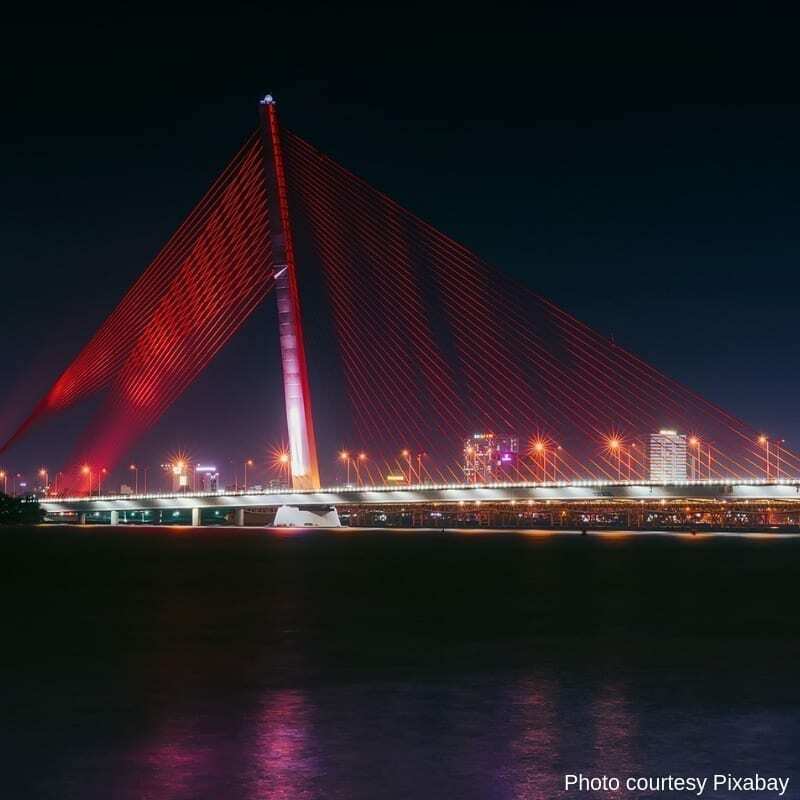 At night you can enjoy a 2-hour dinner cruise whilst sailing down the Saigon River. A Hidden Treasures Private Tour of Ho Chi Minh City visiting Ban Co Market, drink Vietnamese coffee at an old coffeehouse as well as visits to 2 temples. Visit the War Remnants Museum and Chinatown as part of a 4-hour private tour by cyclo of Ho Chi Minh City. Purchase an unlimited SIM Data Card and have it delivered to your hotel free. Prebook your airport transfers to/from Ho Chi Minh City Airport. This is an underground defense system in Cu Chi district, which is known as “steel land,” about 70km from the north-west of Ho Chi Minh City. This system was built by the National Liberation Front of South Vietnam during the Indochina and Vietnam War. Also, it is a unique architecture which is located deep in the ground with many floors and alleys, including spider net with the length of over 200 km, which took place Vietnamese people’s accommodations, meetings and fights. 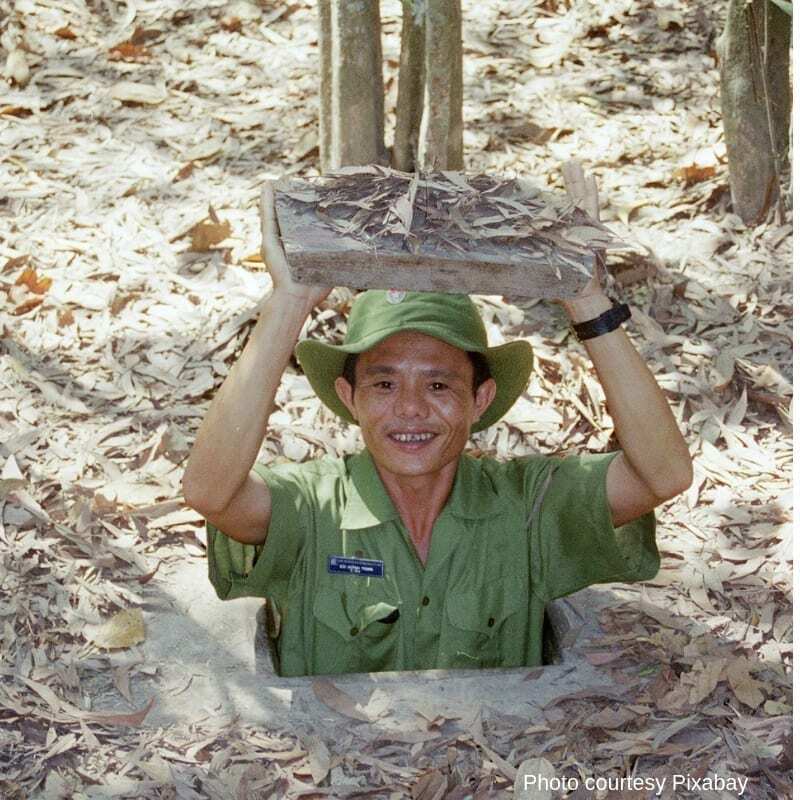 Cu Chi Tunnels owns three different deep levels; the upper level is about 3 meters from the ground; the middle level is about 6 meters from the ground, and the last level is more than 12 meters in depth. If you want to discover the tunnels, don’t miss this place in your journey! To Travel Too recommendation is to visit the Cu Chi Tunnels from Ho Chi Minh City. Please refer above to where to stay in Ho Chi Minh City. Visit the Cu Chi Tunnels in a morning or an afternoon tour.Duration is 6 hours and includes pick up from most hotels in Ho Chi Minh City. You can combine a full day tour with a visit to the Mekong Delta and Cu Chi Tunnels. A full day tour that includes the War Remnants Museum and the Cu Chi Tunnels. Mekong Delta is also known as Southern Delta or Southwest region in Vietnam with the total area of 40,548.2 km2. 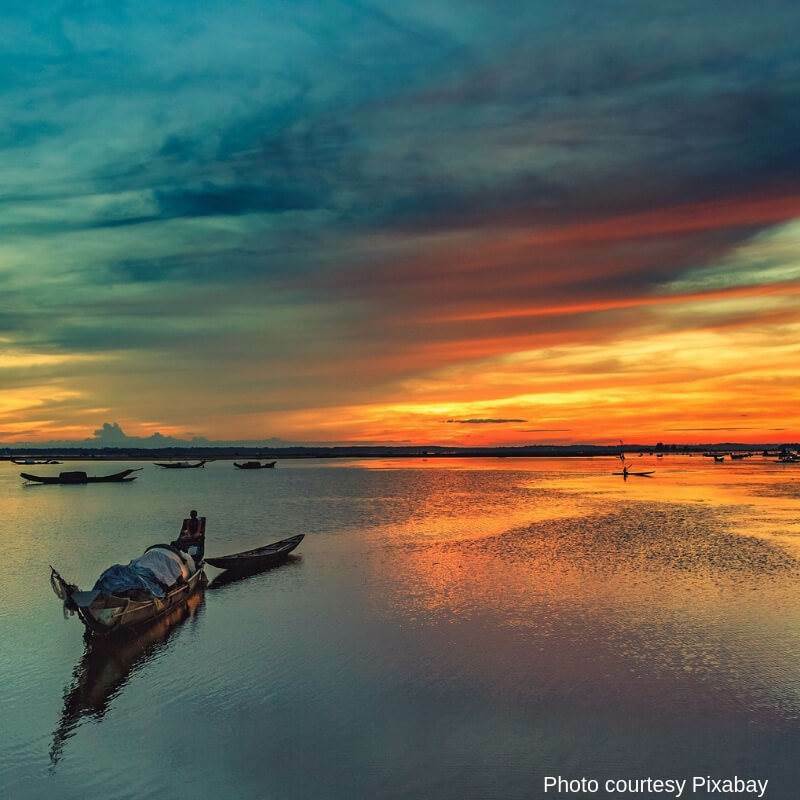 Thanks to the long coastlines, unique tributaries, canals, islets, the Mekong Delta is suitable for ecotourism. Besides, when traveling this place, tourists will experience many exciting activities, such as visiting the vast orchards, sitting on one of the nine rivers that flow into the Sea of Mekong River, listening to Don Ca Tai Tu folk music and enjoying the specialties of Southern region, Vietnam. Moreover, when traveling here, you can visit the floating markets – a particular type of market only in the West of the river water. To visit the Mekong Delta we would recommend staying in Ho Chi Minh City. Please see above for our recommendations. A full day tour of the Mekong Delta is available from Ho Chi Minh City by speedboat. A Tour that Includes a Mekong Delta Cruise and Floating Market Tour from Ho Chi Minh City. 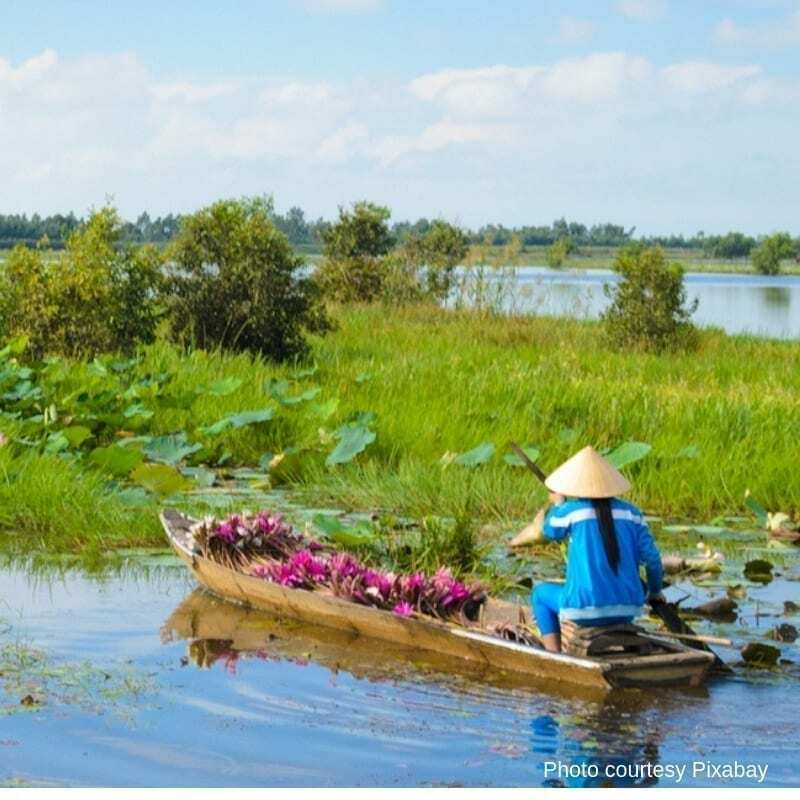 A 3-day tour to the Mekong Delta that includes visits to local floating markets, sunrises and sunsets and the opportunity to experience life on the waterways from Saigon. Mui Ne is a famous tourist destination in the South Central Coast, Vietnam, 22km from Phan Thien city, Binh Thuan province. This place is also a strip of desolate coast with red dunes stretching like a desert and Vietnamese fishing villages. 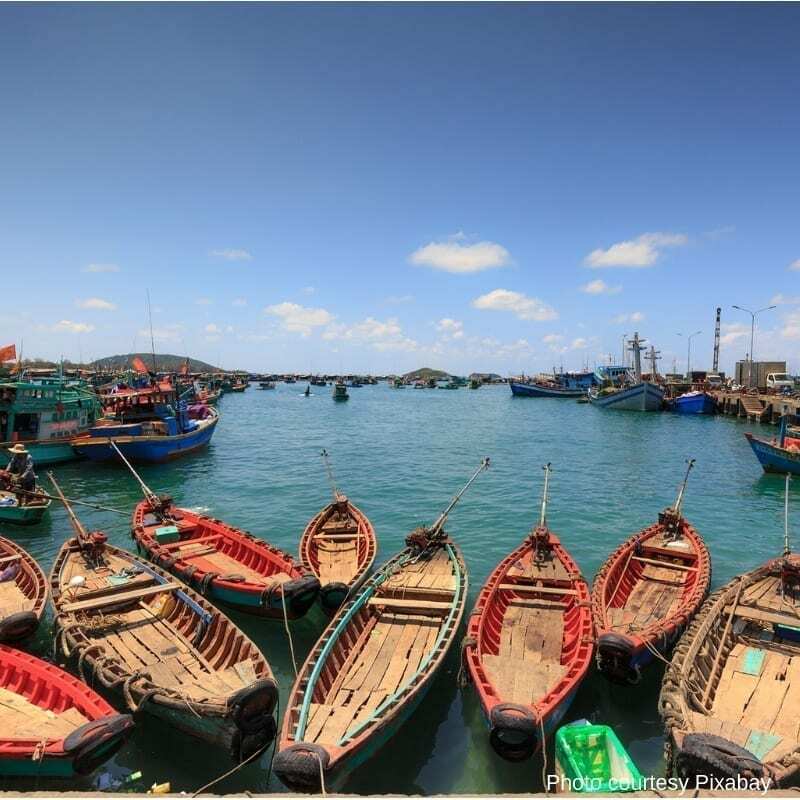 Along with that, Mui Ne attracts tourists due to many historical-cultural relics of diverse and multi-ethnic culture, including Kinh, Cham, Hoa. Furthermore, Mui Ne is famous for many beautiful relics, such as Cham Tower, Water Tower, Ong Pagoda, Van Thuy Tu Pagoda, and many other cultural, historical and tourism monuments. Facilities include free WiFi, restaurant, private beach, Spa and Wellness centre, bike rental. Facilities include free WiFi, restaurant, private beach, outdoor pool, Jacuzzi, roof top terrace and bar. Facilities include free WiFi, restaurant, private beach, and bar. Emily has written an informative article on Mui Ne read it here. 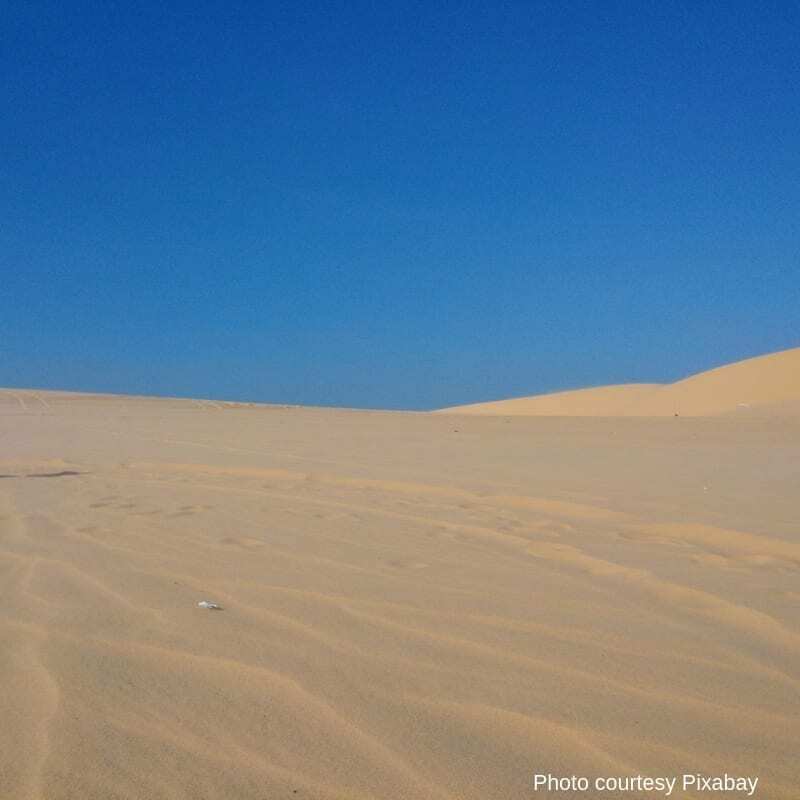 A 4WD Tour from your hotel in Phan Thiet to the sand dunes of Mui Ne. A round trip transfer from Ho Chi Minh City to Mui Ne. Dalat is the capital of Lam Dong province, Vietnam, situated on Lam Vien plateau with the height of 1,500 meters. This is one of the ideal places for couples thanks to the beautiful landscapes and pleasant weather all year round. The unique feature of Dalat tourism is the farms and forests where they grow flowers. Thus, it is regarded as the city of flowers, spring, love, and fog. 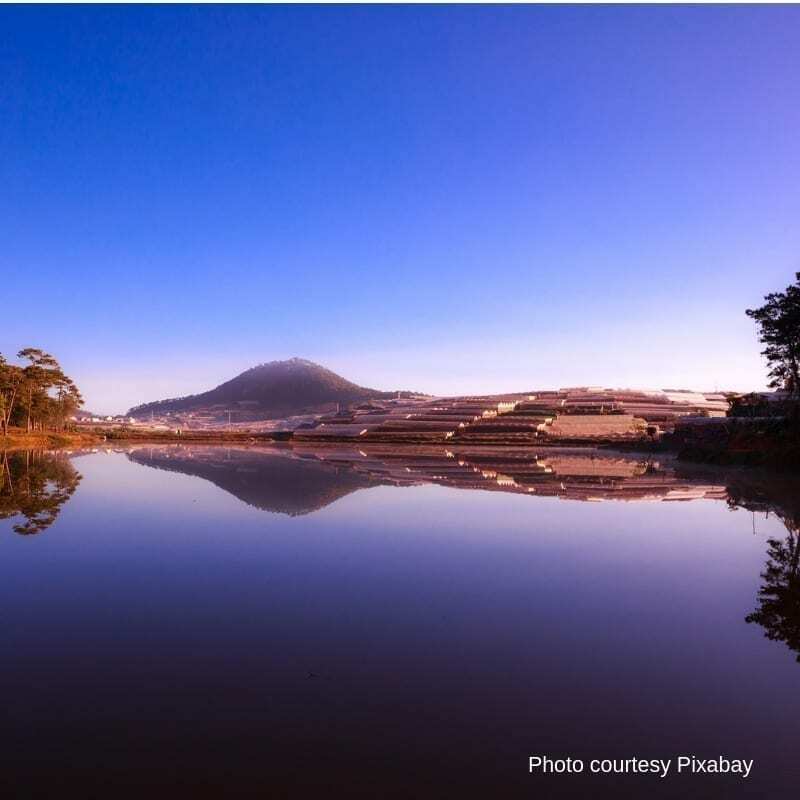 When coming to this city, you should discover some famous places, such as Xuan Huong Lake, Love Valley, Pongour Waterfall, Dalat Station, Langbiang Mountain, etc. Facilities include free WiFi, restaurant, jacuzzi, sauna, gym, pool and bar. Read the latest Tripadvisor Reviews on more accommodation options in Dalat. A full day country exploration tour from Da Lat that includes a visit to Elephant Falls, a Pagoda and coffee farm. For the top tours in Vietnam click here. The official currency is the Vietnamese Dong. US dollars are accepted in major hotels and shopping centres. ATMS are available in Vietnam. Vietnam is a foodies heaven. To check out the top restaurants before you travel check out all the Tripadvisor reviews here. Hence, what are you waiting? Your vacation is sure to be more interesting if you set foot on one or all of these top 15 most beautiful places in Vietnam. However, before departing, it is highly advisable to weigh up your travel plan carefully. Have a nice vacation! I am Emily Pham. I was born in Vietnam – a country with many unknown beaches, historic sites, and tourist attractions. Understanding that Vietnam nowadays is a famous destination, I established the blog site vina.com with the purpose of introducing the elegant beauty of Vietnam to friends around the world. 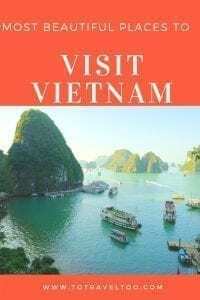 If you are planning a trip to Vietnam, our blog will provide you with essential information on where to go and what to do in our country. We always recommend that travel insurance is taken out when you start booking your travel and paying your first deposits or airfares. For travellers from Australia and New Zealand here. For travellers from the rest of the world click here. What excites us about Vietnam is the diverse countryside, excellent food, four regions with different climatic zones and the people. No wonder Tripadvisor rates Vietnam in its top SE Asian destinations each year to visit. Great Post. I like it.Thanks for sharing. Great information and very helpful. Will definitely refer to this for ideas when we next visit. Thanks for your comments. Hopefully, you will visit one day. We may even arrange a catch up for a beer or two if we are there at the same time.